Modern Farmhouse plans come in all shapes and sizes. White, clean lines, functional porches, tall ceilings and intricate detailing are all features of the Modern Farmhouse Style. Other distinct features could include, dark or black windows, exposed rafters, vaulted interior ceilings and wide open spaces. House Plan Zone's collection of farmhouse plans were designed to create unwavering curb appeal yet stay within budgets. 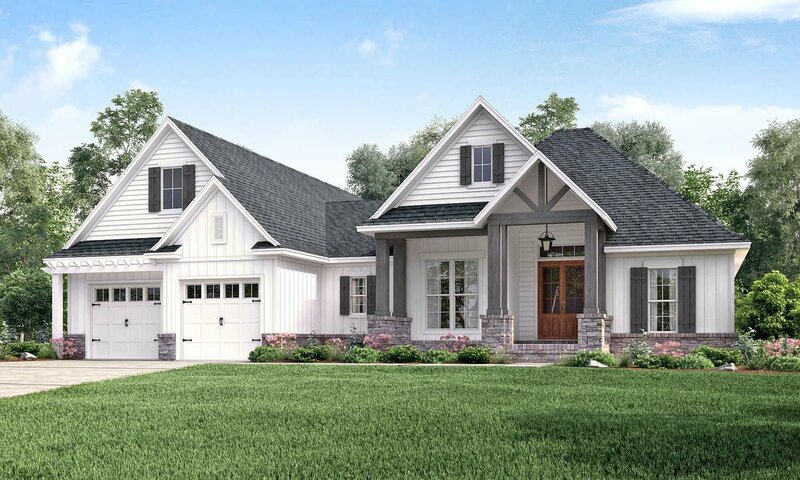 Browse our beautiful Farmhouse House Plans below or visit us at www.hpzplans.com for more house plans.